I have sold a property at 4 935 EWEN AVE in New Westminster. Great family complex at Coopers Landing. Well sought after complex, quality by Bastian Developer. . Best location in the complex, lots of visitor parking in front. This quiet unit features 3 bedrooms, 2.5 bathrooms and low strata fees.Flex room easily converts to 4th bedroom or office. Great open floor plan, kitchen with granite countertops, s/s appliances overlooking the pretty cherry blossoms in the fully fenced backyard. Laminated flooring throughout the main level, cozy Gas fireplace and garage.Walking distance to transit one bus ride directly to 22 Skytrain Station within 5 min. Convenient location close to shopping, groceries, giant outlet, restaurant, new community centre new water park, elementary school,middle school and more! Open house April 6 & 7, Saturday & Sunday, 2-4 pm. I have listed a new property at 4 935 EWEN AVE in New Westminster. Great family comples at Coopers Landing. Well sought after complex, quality by Bastian Developers. . Best location in the complex, lots of visitor parking in front. This quitet unit features 3 bedrooms, 2.5 bathrooms and low strata fees.Flex room easily converts to 4th bedroom or office. Great open floor plan, kitchen with granite countertops, s/s appliances overlooking the pretty cherry blossoms in the fully fenced backyard. Laminated flooring throughout the main level, cozy Gas fireplace and garage.Walking distance to transit one bus ride directly to 22 Skytrain Station within 5 min. Convenient location close to shopping, groceries, giant outlet, restaurant, new community centre new water park, elementary school,middle school and more! Open house April 6 & 7, Saturday & Sunday, 2-4 pm. Please visit our Open House at 4 935 EWEN AVE in New Westminster. I have sold a property at 212 220 SALTER ST in New Westminster. Waterfront living at it's best! Glasshouse Lofts is an exclusive collection of unique homes well situated on the scenic riverfront walkway which surrounds the Port Royal Master Planned Community. Amazing features in this 2 bed, 2 bath spacious contemporary home. Exposed reclaimed brick floor to ceiling wall with fireplace & built-in TV in living area. Bring the outside in through the impressive folding glass doors to your expansive covered deck with views that are hard to find. White oak hardwood floors, open kitchen, huge centre island & Monogram stainless steel appliances. Open concept living space with 10 ft ceiling height. Step up a level to bedrooms, en-suite & main bath for complete privacy. Catch the Q to Q ferry right outside your door to shop at the New West Quay. BONUS 2 parking stalls + storage locker. Open House Sat. August 11th 2:00-4:00. Please visit our Open House at 212 220 SALTER ST in New Westminster. I have listed a new property at 212 220 SALTER ST in New Westminster. Waterfront living at it's best! Glasshouse Lofts is an exclusive collection of unique homes well situated on the scenic riverfront walkway which surrounds the Port Royal Master Planned Community. I have sold a property at 106 245 BROOKES ST in New Westminster. PRIVATE and Stunning unit in the heart of Queensboroughs vibrant community. This one bedroom offers ample storage space, a dedicated office area, dinning room and beautiful expansive views. Large closets. Engineered hardwood floors. High end kitchen appliances with gas stove, alarm installed. Upgraded window blinds. Freshly painted. Excellent condition. This ground level unit comes with huge patio perfect for hosting guests or relaxing outside. Located on Port Royal Park. Within walking distance to park and sea wall. Summertime ferries run to the Quay. Most affordable unit in Queensborough. Ample parking. Well Equipt gym. Parkade with bike rack and underground storage. 30 minutes from Vancouver! Skytrain nearby. I have sold a property at 1231 PRETTY CRT in New Westminster. Please visit our Open House at 1231 PRETTY CRT in New Westminster. Please visit our Open House at 106 245 BROOKES ST in New Westminster. I have listed a new property at 1231 PRETTY CRT in New Westminster. 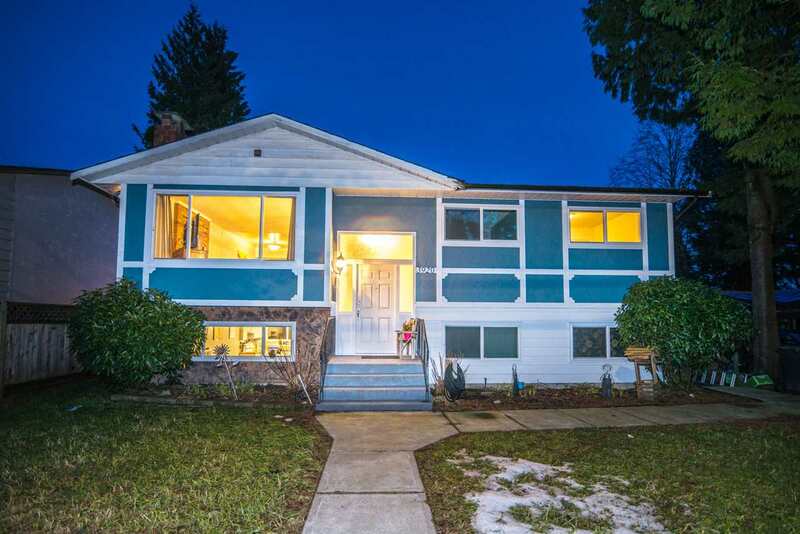 Lovely 6 Bed/4 bath family home located on a quiet Cul-de-sac in desirable Queensborough! A grand foyer leads to the living room with cozy gas fireplace, formal dining area, bright and spacious kitchen with it's own separate eating area, a large family room with additional fireplace & sliders to the outdoor patio. Bonus bedroom on the main is perfect for overnight guests or extended family! Perfect family home- upstairs features an additional 4 good size bdrms. Huge master bedroom with "spa like" ensuite features a Jacuzzi tub and walk-in closet! PRIVATE and spacious backyard with patio is ideal for the entertainer or gardner in the family. Perfectly situated near HWY 91, Fraser River walking Trails, Major Shopping, and schools! OPEN HOUSE SAT JAN 20 AND SUN JAN 21 FROM 12-4PM. I have listed a new property at 106 245 BROOKES ST in New Westminster. Stunning unit in the heart of Queensboroughs vibrant community. This one bedroom offers ample storage space, a dedicated office area, dinning room and beautiful expansive views. Large closets. Engineered hardwood floors. High end kitchen appliances with gas stove, alarm installed. Upgraded window blinds. Freshly painted. Great condition. This ground level unit comes with huge patio perfect for hosting guests or relaxing outside. Located on Port Royal Park. Within walking distance to park and sea wall. Summertime ferries run to the Quay. Most affordable unit in Queensborough. Ample parking. Well Equipt gym. Parkade with bike rack and underground storage. 30 minutes from Vancouver! Skytrain nearby. Please visit our Open House at 202 215 BROOKES ST in New Westminster. Wow! Shows like a showhome! Beautiful 2 bedroom condo overlooking Port Royal Park. Fantastic views of the river! Boasting a bright and airy space, an open floorplan, gourmet kitchen with quartz countertops, stainless steel appliances, gas stove and elegant cabinetry, living room with large sliders opening to Juliette balcony. Two ample sized bedrooms, both with walk-in closets and master with ensuite plus additional closet space. Hardwood floors thru-out! Common area roof top deck for BBQ's and enjoying expansive views of park and river. Maintenance fees incl gas and hot water! Great location! This family friendly neighbourhood features walking and biking paths, parks, playground and community gardens. Short drive to shopping at Queensborough Landing. **OPEN HOUSE** Sunday May 21, 2-4 pm. Wow! Shows like a showhome! Beautiful 2 bedroom condo overlooking Port Royal Park. Fantastic views of the river! Boasting a bright and airy space, an open floorplan, gourmet kitchen with quartz countertops, stainless steel appliances, gas stove and elegant cabinetry, living room with large sliders opening to Juliette balcony. Two ample sized bedrooms, both with walk-in closets and master with ensuite plus additional closet space. Hardwood floors thru-out! Common area roof top deck for BBQ's and enjoying expansive views of park and river. Maintenance fees incl gas and hot water! Great location! This family friendly neighbourhood features walking and biking paths, parks, playground and community gardens. Short drive to shopping at Queensborough Landing. **OPEN HOUSES** Saturday/Sunday, May 13 & 14th, 2-4 pm.